Emraan Hashmi is currently busy with shooting schedules of his upcoming biopic film Azhar which is about the former Indian cricketer Mohammad Azharuddin. 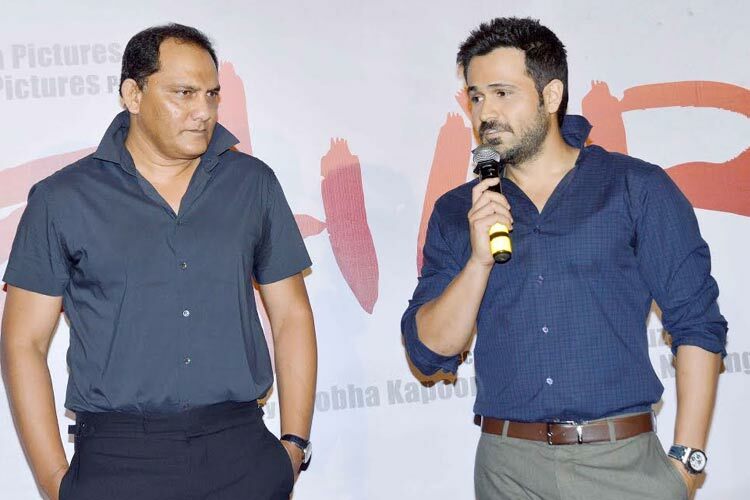 Emraan is working hard to get under the skin of his character and Azhar is supporting him in his endeavor. Emraan had previously traveled with Azhar to Hyderabad, to visit his old haunts and to understand his early days better. And now the sport personality joins Emraan Hashmi in London, where the film is being shot. "I called Azhar up and formally invited him to join us here. Incidentally, we now plan to shoot our cricketing portions when Azhar is here. It is always good to shoot under an expert eye and who better to guide us than the man himself." Emraan Hashmi said about Azhar joining the team. The film is scheduled to release on 13 May 2016 and it stars Emraan & Prachi Desai in lead roles.